Gandhar Oil Refinery (India) Limited is a well-known name and an established player in Specialty Oils and Lubricants industry. 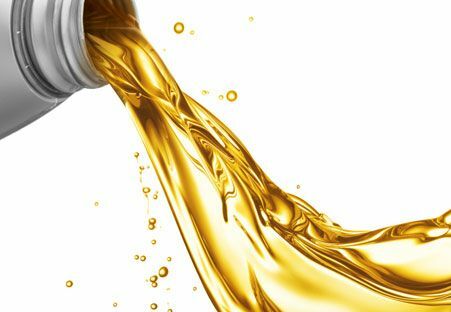 Our range of speciality oils and lubricants include liquid paraffin, industrial oil and greases, transformer oils, automotive lubricants, petroleum jelly and rubber processing oils which we sell under our flagship brand “Divyol”. A wide range of high grade DIVYOL Transformer Oils are available which meet International quality standards. Manufactured from carefully selected New Generation Right Base Oil Emphasizing Product Purity. DIVYOL WOT Oils are severely refined hydro-cracked / hydro-treated oils with highest degree of purity and are stabilized with suitable additives for oxidation/UV stability. These oils are suitable for Cosmetic and Industrial applications. The below oils are also recommended for Polystyrene, Thermoplastic industry. Made from highly refined, high viscosity index base oils to provide excellent performance at heavy loads. Heavy duty engine oil additive package provides reduced wear, longer life and maintains cleaner engine. Recommended for use in HCV, LCV, Tractors, and also as Diesel PCMO. DIVYOL Emulsifying Waxes waxes are carefully blended with selected fatty alcohols, surfactants and ethoxylates under controlled conditions. These are well known products for Ointments, Solutions and Cream manufacture. The Coal Division of the Company has made a remarkable growth in industrial fuels and steam coal with an impressive sale of more than 3 Million MT during 2013-14. The Company imports steam coal of different gross calorifi c value from its associates in Indonesia and South Africa for the Indian market. We are confident of crossing new milestones as we draw on our wide-ranging experience, expertise and technological strengths. In fiscal 2017 and fiscal 2016 our sales from export of petroleum products as a percentage of revenue from petroleum product segment surpassed approximately 42%. Working at Gandhar is an opportunity to change the world. We are a proud product of its people commitment and dedication. We believe that our people are our competitive edge. Gandhar commits itself to its employees by providing outstanding developmental opportunities that align with their personal aspirations.